Is Cloud the Future of CRM? Before the dawn of mainstream Customer Relationship Management (CRM), the corporate CRM landscape was populated by a variety of improvised, custom software projects developed by individual companies. Then came the standard CRM solutions that were customized for enterprise usage. Both of these expensive and time-consuming projects represented an "on-premises" solution. That all changed when a pioneering company called Salesforce.com appeared with a revolutionary new solution, a Cloud-based approach to CRM. It was intuitive, practical and compelling. As Cloud offerings proliferated and gained traction in the mid-market, Oracle recognized the vast potential for this innovative new approach and soon began to focus on Cloud CX solutions. By any measure, Cloud-based strategies represent a significant advance in CRM. Cloud systems allow rapid deployments, with implementation in a matter of weeks rather than months or years. These systems are less expensive to deploy, help streamline and improve business processes, and shorten sales and service cycles. 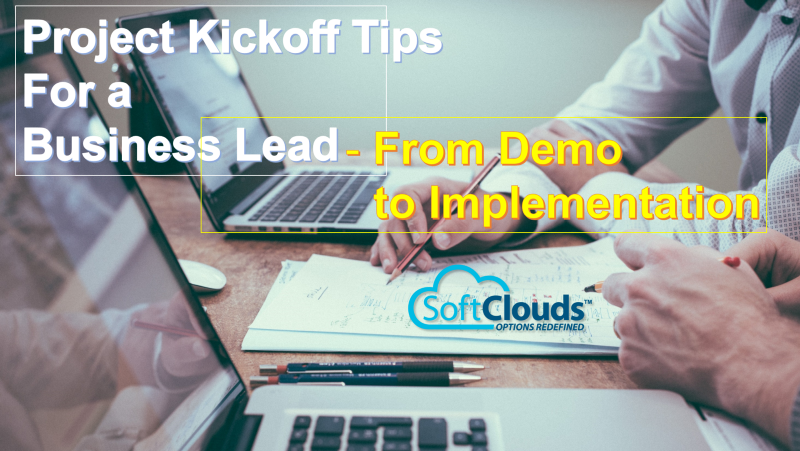 Cloud-based CRM allows tight integration with critical business applications via pre-built application connectors, such as Microsoft Outlook. This in turn facilitates rapid user adoption of CRM. It also provides for seamless transmission of data to and from other business systems, reducing the necessity for intensive IT involvement and support. Cloud solutions are as flexible and dynamic as the modern workforce, allowing personnel to interface with CRM systems through their personal mobile devices. Any employee connected to the network has quick access to a wealth of CRM information via a smartphone, tablet, laptop or even a WiFi-capable watch. An additional benefit is the ability to receive concise analysis and reporting from the system, such as graphics that provide a panoramic view of usage, territories, opportunities and service issues. Every year, an increasing number of businesses are making the leap to Cloud-based CRM. Although many of these companies will make a decisive break with old ways of managing customer relationships, some prefer a more gradual process of implementation. In such cases, they utilize a Hybrid Cloud strategy, in which they continue to operate their legacy CRM applications while integrating complementary Cloud-based solutions. Companies don't retain existing processes out of nostalgia, but rather to maximize the investments they have already made in legacy systems. 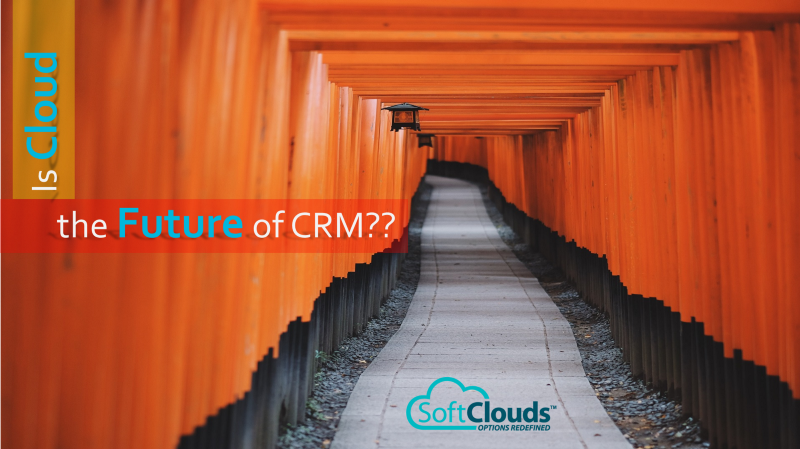 However, the benefits of Cloud-based CRM are so compelling — and the opportunity cost of failing to adopt the most efficient system is so significant — that the migration to cutting-edge CRM often happens sooner rather than later. 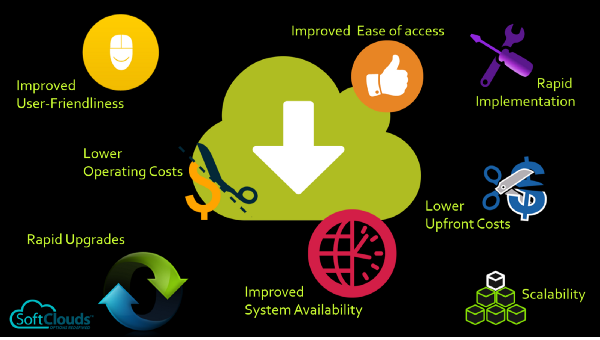 The result is invariably an enhanced user experience with secure Cloud applications that offer state-of-the-art interfaces and capabilities. Market surveys have consistently shown a quickening pace of Cloud adoption in a wide range of industries. One of the most significant was RightScale's State of the Cloud Survey, conducted earlier this year. An impressive 95 percent of respondents indicated they were using Cloud solutions. Reflecting the overall trends we have observed, there was a great deal of overlap in categories, with many enterprises using hybrid systems in addition to distinct public or private Clouds. Implementation of private Cloud solutions jumped from 63 to 77 percent from 2015 to 2016 among the respondents. 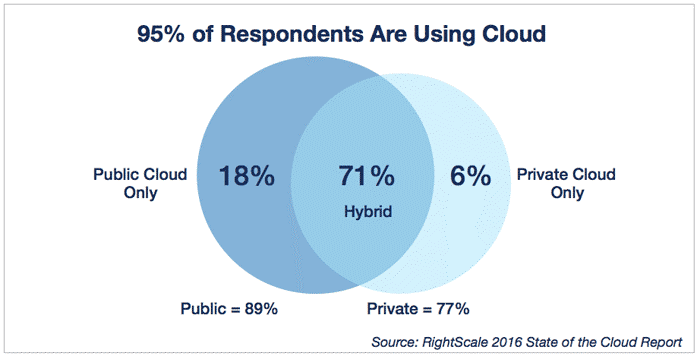 The overall figure for adoption of hybrid Cloud solutions soared from 58 to 71 percent. Not surprisingly, Oracle's advanced Cloud systems represent a growing slice of the pie. Oracle expects revenue from its Cloud solutions to triple in 2017, in part based on some exciting new offerings unveiled during Oracle OpenWorld in September, such as Oracle Database 12c Release 2, plus over 20 new Cloud platform and application services. As Oracle described it: "Industry-first innovations highlighted include a new Database-as-a-Service (DBaaS) that is orders of magnitudes faster and more scalable than other Cloud database services and new Adaptive Intelligence Applications that use machine learning to power the next generation of Cloud applications." Pioneering features include Oracle ERP Cloud's tools for public sector and revenue management; new B2B commerce capabilities with Oracle CX Cloud; mobile services that support chatbots; technologies that allow seamless integration of Cloud-based CRM with legacy systems; easier access to analysis and reports; and Internet of Things applications that provide significant value for businesses at every level of the organization, from product engineering to connected worker management. As a premier CRM solutions & products firm, we are skilled in implementing Cloud-based systems, as well as hybrid deployments. Our solutions are rooted in Cloud offerings provided through enterprise Cloud, secure hybrid Cloud and Cloud service providers. Based on our experience, we see two distinct market trajectories at play. Our belief is that wholesale adoption of Cloud-based CRM will happen more slowly for larger enterprises, many of which prefer to retain elements of legacy systems that were created with substantial investments of time and energy. For these companies, it may take a decade for them to make the journey from on-premises to hybrid to Cloud. Conversely, smaller businesses will be much more nimble in seizing new opportunities, adopting Cloud-based CRM at a faster pace and drawing upon its benefits in a comprehensive way. One reason for this is that many SMBs initially lacked the resources to build their own on-premises software solutions; and as a result the option of holding on to legacy systems is not much of an issue. Where is your own organization on this spectrum? Are you still using an on-premises system that was devised years ago? Are you bridging the divide with a hybrid system, or have you already made the move to a wholly Cloud-based CRM? What were some of the challenges you faced along the way? What were the most dramatic changes you saw after implementation of a new system? And which group would you say was the most satisfied with the changes: your customers, your employees or your management team? We invite you to share your experiences, insights and lessons learned. Click HERE to let us know your comments/opinions or email us at "marketing-at-softclouds-dot-com"
This blog was written by Mike Downing, Project Manager at SoftClouds. Mike has over 25 years of experience in Product/Project Management involving the design and implementation of full CRM life cycle projects utilizing On Premise & On Demand (SaaS/Cloud) CRM solutions. His Oracle expertise includes the following CX Products: Siebel CRM, Knowledge Management, Sales Cloud, Service Cloud and Social Cloud. SoftClouds LLC © 2019. All Rights Reserved.